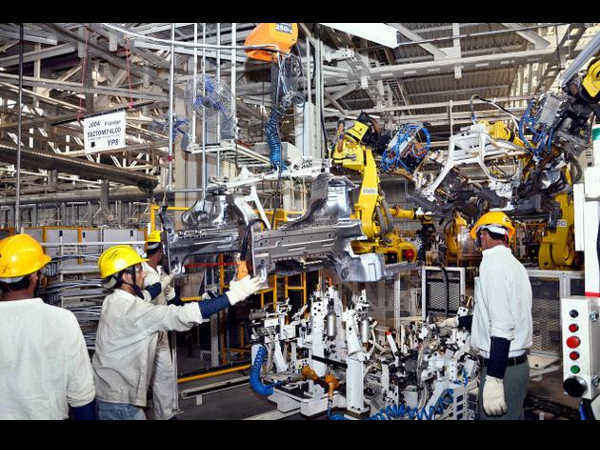 PUNE (NEW DELHI): The next technology revolution in the automobile sector- autonomous or driverless vehicles- is likely to increase demand for engineers and other tech specialists over the next three years. The sector is likely to employ about 110,000 engineers, up from about 70,000 now, by 2020, according to estimates by experts, including NASSCOM. Most of the fresh hires would be for cutting-edge automated technology such as artificial intelligence, robotics cognitive solutions and machine learning. Companies such as TVS Motors, Tata Motors India, Continental India, Mahindra & Mahindra and Mercedes Benz are aggressively hiring engineers. Tata Motors is likely to add 400 in the coming year. It has more than 3,000 engineers and scientists at its R&D centres working on innovative technologies, said Gajendra Chandel, chief HRO. Continental India plans to add 800 engineers to its team of about 2,400. "We are betting high on India and have made substantial investments in the country. We will continue to grow along with the market," said head of human resources Marcel Verweinen. To be sure, most of these jobs will go to well-qualified recruits from top schools. India has a surfeit of graduates passing out from a vast number of engineering colleges, many of whom companies deem ill-suited to the roles they need to fill and will therefore find it difficult to get jobs. Continental carries out R&D at units in Bengaluru, Pune, Manesar and Chennai, developing advanced automotive technology and provides global support. M&M is looking to add another 300 engineers from campuses in the next few months. There are 515,000 people employed in R&D and engineering across all sectors, as per to Nasscom estimates, of which 15% are in the automotive industry. "Auto R&D and engineering is one of the top three domains witnessing highest growth within R&D and engineering domain in India," said Ashok Pamidi, senior director at Nasscom. The other two are telecom and semiconductors. In the past few years, global auto giants including Mercedes, BMW, Renault, Suzuki, Honda, Volvo and Robert Bosch have set up specific R&D units in India for global requirements. Even home-grown companies such as M&M, Maruti Suzuki, Hero MotoCorp and Tata Motors have ambitious R&D plans. "It seems that in the next couple of years, each of the existing automobile R&D facilities could double manpower," said Rituparna Chakraborty, cofounder of TeamLease, which provides employment-related services. Other profiles that will be in demand include big data analyst, business transformation consultant, blockchain developer, full stack developer, visual effects artists, computer vision engineers, AI research scientist, automobile analytics engineer etc. Entry level salaries in the sector start at 6 lakh per annum. "India is a perfect market that ensures easy availability of high-quality engineers and a relatively young workforce," said Verweinen. "India has moved up the value chain to become a provider of critical R&D in advanced technologies for most industries in addition to the advantage of cost arbitrage it offers." TVS Motor Co. senior vice president R Ananda Krishnan said, "We are early adopters of technology and have been investing in technologies such as Internet of Things, machine learning, deep learning amongst others. Demand for tech talent to lead research and operational work would rise in the years to come." Hiring would not only be limited to engineers but also software specialists, Verweinen said. Indian automation industry is expected to reach 19,700 crore by 2020 and a big part of it is going to be in automobile, said Anviti Sangwan, HR director, Adecco India.